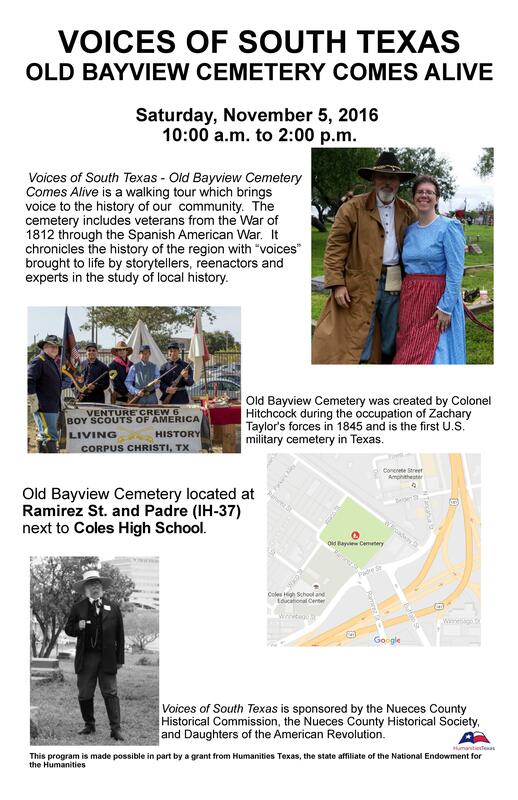 Don’t forget to visit Old Bayview Cemetery tomorrow, November 5, 2016. It is the oldest federal military cemetery in Texas. For a visitor’s perspective on why this cemetery needs to be preserved, visit Robert Holt’s site by clicking here. You will be amazed at how important this small plot of land is to all who care anything about those who came before us.